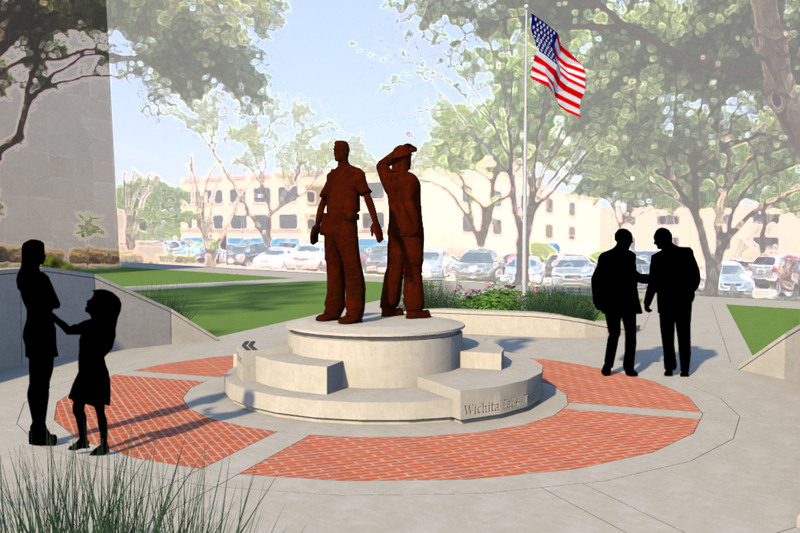 SLA provided the design for the Wichita County Sheriff’s Memorial Monument located on the east lawn of the Wichita Falls County Courthouse. The monument serves as a reminder to passers-by of the fallen sheriff’s deputies and volunteer firemen in Wichita County. 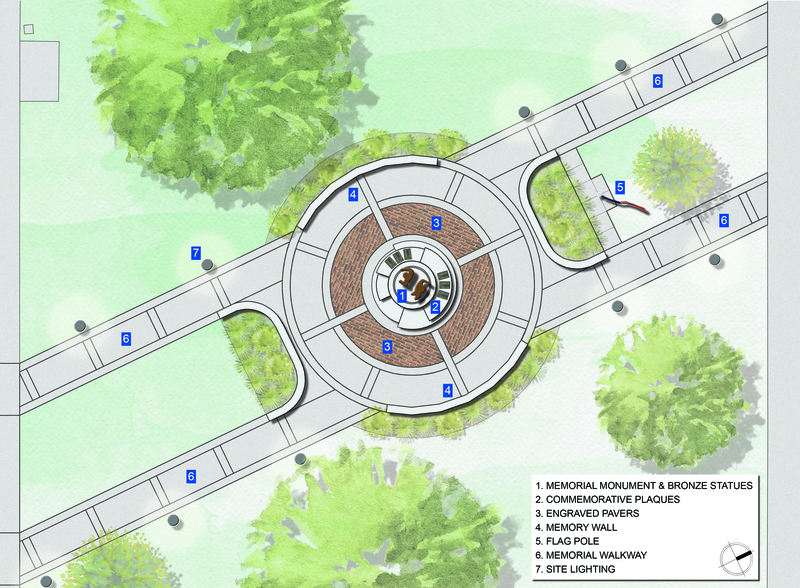 Visitors to the monument are diverted off the main sidewalks leading to the courthouse and on to a diagonal walk through mature oak trees. The monument is surrounded by elevated walls to create a quiet space to reflect on the fallen. Visitors will find prayers for each of the occupations on the walls. 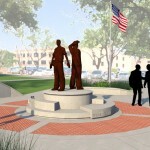 Two bronze statues sit atop a concrete pedestal surrounded by varying steps. 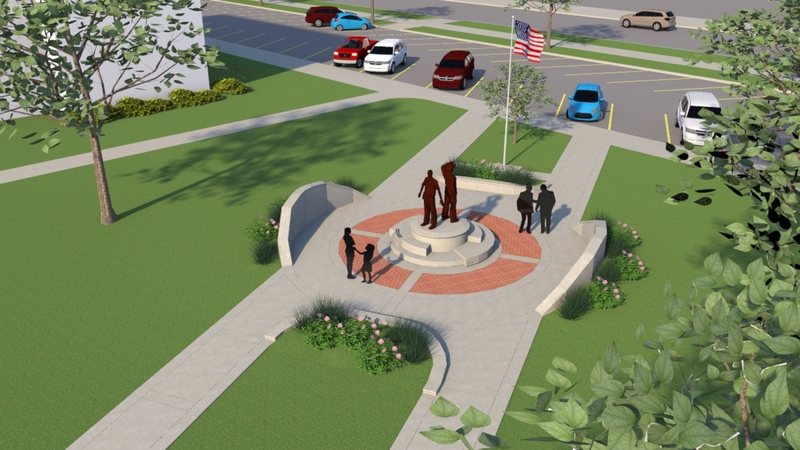 A statue of a uniformed deputy stands with his back to a suited fireman representing the strength and support that the two have for each other. 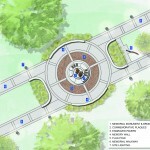 Each of the steps surrounding the pedestal represent the challenges that these dedicated servants face during their careers. On the steps are plaques listing those that have fallen. Pathway lights illuminate the walk leading up to the monument. Ground lights create a glow on the memory walls and light the statues. 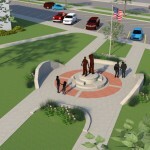 A ring of light shines from beneath the monument to remind all of the continuous service and dedication of the fallen. SLA is proud to have donated design services to this worthy cause.